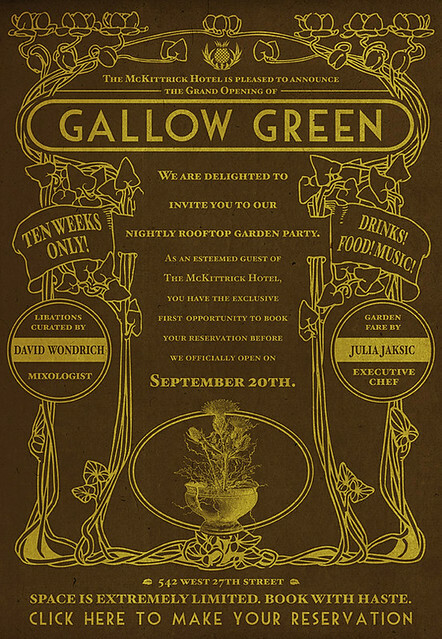 Gallow Green just sent over this new invite to book a table for dinner. A lot of changes have been happening since they’ve opened. When we were there about a week ago, we had some of their appetizers and they were quite good! I’m looking forward to dinner there, hopefully before the official opening on Sept. 20th. Let’s make dinner just as magical!